Poultry Nutri-Drops provide a nutritional advantage for weak and lethargic birds - results can be seen in just 30 minutes! 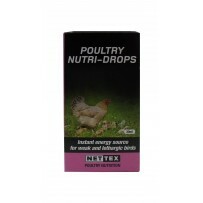 Poultry Nutri-Drops is a unique energy-boosting supplement that works via patented technology exclusive to Net-Tex. It delivers nutrients directly into the bloodstream, an effect that can be measured within 10 minutes. Within 30 minutes 50% of energy and nutrients are absorbed with 99% utilisation.  This means a lethargic or weak bird will soon be thriving even during periods of heavy stress. 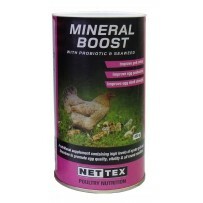 Mineral Boost is a complete nutritional supplement for the laying hen resulting in faster moults, good egg quality and healthier, stronger birds. This nutritionally advanced mineral supplement contains high levels of limestone and oyster grit to increase calcium consumption and form strong and sturdy eggshells. Phosphorous is added to help the birds metabolize calcium. Net-tex incorporates probiotic (Saccaromyces cerevisiae) and yeast that includes a comprehensive profile of amino acids and B vitamins. These help support extra immune protection and improve all year round condition and performance of your bird. Dosage: 1 rounded teaspoon will feed 15 birds. 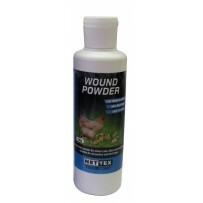 Net-tex Wound Powder is an essential tool for wound management. An easy to use Bactericidal powder and wound dressing for minor cuts, bites & scratches. Suitable for all poultry and bird types. Can be applied directly to the affected area to aid in the natural healing process. 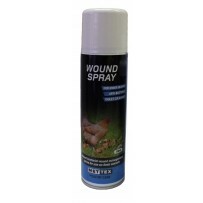 Net-tex Wound Spray is an easy to use wound aerosol spray that is a highly effective cleanser with a powerful bactericidal action. This ultra-quick and powerful wound spray has been specifically designed to control and immediately inhibit any existing or possible infection from external wounds, grazes or skin punctures that require on the spot attention. When applied, it leaves a violet residue making it easy to see if the affected area has been completely covered. Cannibalism & feather pecking are complex behavioural problems found in poultry & game birds worldwide. The causes include tensoynovitis & other diseases that reduce mobility along with boredom & stress. Symptoms include pecking at the feet (especially young chicks), the vents (adult layers & turkey poults 8-12 days old), the head, face & wings. It may also include feather pulling. Cannibalism & feather pecking may lead to wounding leaving the skin open to bacterial infection. In severe cases this leads to a loss of blood & results in generalised anaemia. Benefit 1: Anti-Feather Pecking spray first works by preventing biting, plucking and cannibalism. It contains a foul tasting substance with a very strong odour. This foul taste is so strong that most biting or plucking will cease after one or two days. Benefit 2: Anti-bacterial agents have been incorporated for minor skin abrasions and disinfect the afflicted sites immediately. These agents also help minimise the spread of bacterial infection - allowing the healing process to start. Free Range Nutrient Feed Block contains natural shell grit and blackstrap molasses, vitamins A, D3, E, K, B1, B2, B6, B12, folic acid and biotin. It also contains minerals including phosphorus, Sodium, Cobalt, copper, iron, iodine, zinc, and selenium.